Marlborough – William R. “Bill” Short, 63, died Wednesday night, April 4, surrounded by his family. 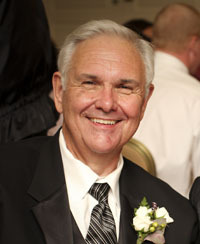 He was the husband of Linda N. (Currier) Short, to whom he was married for 43 years. 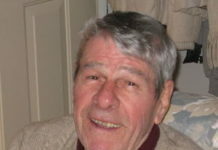 He was born in Haverhill, the son of the late Hector and Arlene (Cardarelli) Short, and lived in Marlborough for the past 38 years after purchasing the former Brown Funeral Home and moving to the city with his wife and young family. He would continue to own and operate the funeral home, changing to the current William R. Short and Son Funeral Home, until becoming ill recently. Mr. Short was active in the Marlborough community, belonging to many local organizations such as the Marlborough Rotary Club, the former Kiwanis Club, United Brethren Lodge AF & AM of Marlborough, Bandiera e Concordia Lodge #240 Sons of Italy in America, and Knights of Columbus council #81, and served for many years on the Friends of the Marlborough Seniors. He served in many different capacities and roles in all of the organizations and won numerous awards for his community service. He was a longtime member of the former St. Ann&apos;s Church and an active member of the Immaculate Conception Church in Marlborough, where he served as Eucharistic Minister. He was always quick with a joke or a compassionate word and always knew the correct time for each. He loved being in crowds of friends, serving as master of ceremonies for numerous events in town and was never at loss for words. He loved to go camping with his family and friends especially his wife and four grandchildren. Above all other things, his greatest joy was spending many hours surrounded by his wife, children, and his beloved grandchildren. in addition to his wife, he is survived by two sons, Gregory Short and his wife, Tammy, of Marlborough and Phillip Short and his wife, Heather, of Marlborough; a daughter, Caitlin Hynes and her husband, Patrick, of Marlborough; two brothers, Gerald Short and his wife, Kathy, of Hampstead, N.H., and Kenneth Short and his wife, Mary, of Glover, Vt.; three sisters, Roberta Bragdon of Hampton, N.H., Donna Duford of Freemont, N.H., and Janet Allen of Haverhill; an aunt, Patricia Ann TsaTsa of Methuen; his father-in-law, Allan Currier of Haverhil;l and many nieces, nephews, great-nieces and great-nephews. He was “Grankie” to four grandchildren, Jason, Robbie, Adam, and Kevin. He was predeceased by a brother, Lawrence Short. His funeral will be held Tuesday, April 10, at 11 a.m., in the Immaculate Conception Church, 11 Prospect St., Marlborough. Burial will follow in Evergreen Cemetery of Marlborough. Visiting hours will be held Monday, April 9, from 4 to 8 p.m., in the William R. Short and Son Funeral Home, 95 West Main St., Marlborough. Memorial contributions can be made to the Jerome Lipper Multiple Myeloma Center of Dana Farber Cancer Institute, 450 Brookline Ave., Boston, MA 02215.